Construction started on Goxhill, which lies 5 miles east of Barton-upon-Humber, in October 1940, the station being opened 26 June 1941. Although built for Bomber Command, the runways were shorter than their later counterparts and unlike some contemporary stations, they were never lengthened. The technical site was originally equipped with three hangars, two T2s and a single ‘J’ Type. Later, four blister hangars were added. Communal and accommodation sites were to the south-east spread over eight sub0sites – excluding wireless & telegraphy, station sick quarters and sewage, which were to the north – for a total of 1,709 personnel of all ranks. It was surrounded by a number of local defence points. Originally opening under 1 Group, this was to be short-lived with only No.1 Towed Target Flight resident for three months (October-December) in 1941. The station was transferred to 12 Group, being used by the Kirton and Lindsey-based 616 Squadron Spitfires, one of the Royal Auxiliary Air Force squadrons. Between May and June 1942, Goxhil was used by 15 ((P)AFU) – Advanced Flying Units (Pilots). In June 1942, the airfield was transferred to the US 8th Army Air Force, becoming Station 345. Reputedly, the Americans were confused by local pronunciation of ‘Goxhill’ and it was nicknamed ‘Goats Hill’. Other American touches included the naming of the dispersal sites after well-known hotels, for example Site No.3 was Ritz, Site No.5 was Dorchester and Site No.9 was Berkley. The role of Goxhill was to acclimatise American aircrews to the European Theatre of Operations and consequently saw many unit movements. The airfield was transferred back to the RAF in January 1945. It was used by a succession of maintenance units, the last being 92 MU for explosive storage until 1953. 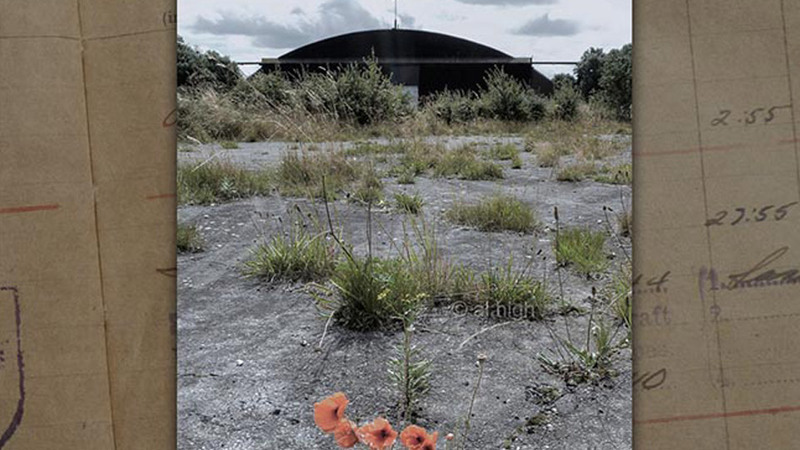 The site was disposed of in 1962, although the hangars were retained by the Ministry of Supply and used for storing ‘Green Goddess’ fire engines. Today, the hangars and technical site buildings are used for storage and light industry. The airfield is now home to ‘Goatshill Fishery’ whose ponds are located on the former runways. 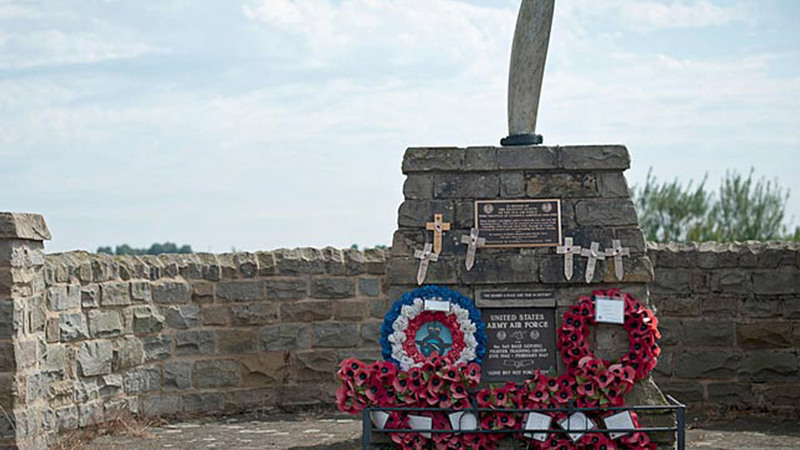 A memorial stands at the north-west corner, alongside which is a Northern Lincolnshire Aviation Heritage information board.